I am working on a smoke simulation and i have imported my collision object with source volume into my Pyro sim. 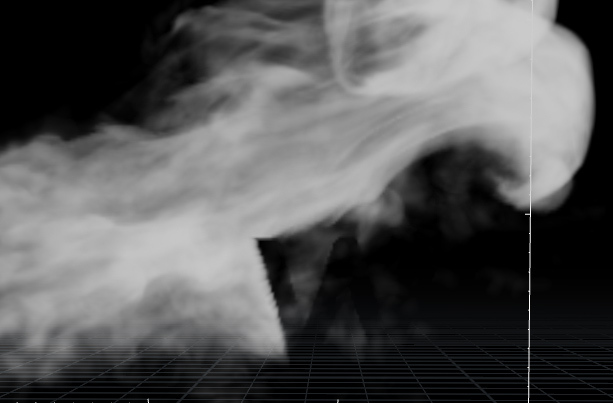 No matter how much I increase the smoke divisions as well as reducing the voxel size on colliding geometry I still get jagged edges when smoke interacts with it. I have attached a screen capture here to make it more clear. Is there any way to smooth the jagged edges or am I missing something in the process? Any tips would be greatly appreciated! Try dropping down a GasBlur inside the DOP network and plug it into Velocity Update on the solver. Set your field to density and increase the radius until you see an effect. Maybe try a better font..? You should take a look at your collision in your solver . Go to your static object if you using it . Tab collision RBD solver Volume , and display collision guide . Should be blue mesh . See what it look like . and also you should probably use the logo as a holdout when render this right? Try a lower division size. Your posted scene reports 11 million voxels. This image shows 21 million voxels and less jaggies. So the collision aliasing is reduced as the simulation quality is increased, by lowering the PyroObject division size. To get an idea on how many voxels you need, consider that ILM used 65 million voxels for preview quality work and 165 million voxels for final explosion work on the Transformers movie. 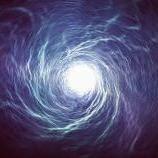 Check out my posted file. I rebuilt your setup and it runs a little faster..less nodes. Also if you have some vRAM available, 4GB+ try enabling OpenCL on the SmokeSolver (Advanced TAB) for a modest speed increase.